Rev. Bryan P. Crotts became Pastor of the First Associate Reformed Presbyterian Church on Sunday, May 3, 2015. Bryan is a native of Burlington, North Carolina. He attended Ms. Bolden’s Playschool, Burlington Christian Academy, Turrentine Middle School and is a 1995 graduate of Walter Williams High School. He grew up in a Christian home, was baptized into the covenant community as an infant and was always under the influence of God’s Word through the ministry of his parents, Christian school and church. Though he professed faith in the Lord Jesus Christ in his younger days, a most influential moment in his walk with Christ came during college when he understood his unworthiness before a holy God due to sin. It was then that a serious faith in the Gospel of our Lord Jesus Christ became a strong reality in his life. After spending a number of years working in a family-owned furniture business, Bryan began to sense a call to pastoral ministry. He received his bachelor’s degree in Bible and Religion in 1999 from King College in Bristol, Tennessee. In 2003, he completed work for his Masters of Divinity degree from Reformed Theological Seminary, as well as was licensed to preach the Gospel by First Presbytery of the Associate Reformed Presbyterian Church (ARP). After his ordination in 2003, he served as Associate Pastor at Huntersville Associate Reformed Presbyterian (ARP) Church in Huntersville, NC and in the same position at Christ Community Church (ARP) in Greensboro, NC. 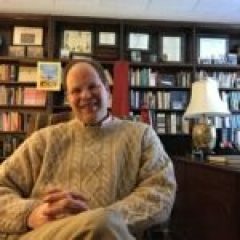 Pastor Crotts has also served as Teacher at Providence Presbyterian Church (OPC), Greensboro, NC and as interim pastor at Princeton Presbyterian Church (PCA) in Johnson City, TN. Pastor Crotts has been married over 18 years, has three children and devotes much of his time to family and church. When he has free time, he enjoys being outdoors and working on his older home.